Those looking for something different to the common BMW 3 Series or Audi A4 could do a lot worse than this compact executive model from Saab - especially if a convertible is on the shopping list. An uncertain future means the 9-3 is now even better value, while the latest engines are more efficient than ever before. 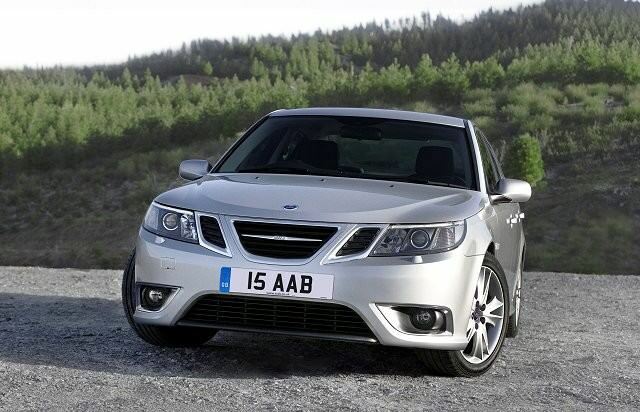 It’s been a turbulent time for Saab of late, but that doesn’t mean the firm’s used models don’t make a good buy – and none more so than the 9-3 range. The original replaced the venerable 900 hatchback in the Swedish brand’s model line up, but it was the introduction of the 2002 car that really shocked brand followers – gone was the hatchback option, replaced by a practical Sport Combi estate model instead. Regardless of the hatchback being discontinued, the 9-3 still proved practical, thanks to the introduction of the Sport Combi in 2005. And as one of the forefathers of the four-seat convertible, it should come as no surprise that the 9-3 was also offered with a canvas roof in addition to the bigger-selling saloon model. Turbocharging is a big part of the firm’s history, and with the exception of some early 1.8-litre petrol models, the 9-3 has always been powered by forced induction. Early diesels used a 2.2-litre unit borrowed from Opel, which proved efficient but gruff, while later 1.9-litre alternatives proved more refined. Those more concerned with performance should look at the twin-turbo version, which combines impressive power, economy and efficiency. Otherwise there’s a choice of outputs from the 2.0-litre petrol engine, ranging from 150- to 210hp (and latterly 220hp in the newest models). Other highlights are the sophisticated XWD four-wheel drive system introduced in 2008 and a turbocharged 2.8-litre V6 – though fuel economy is not this engine’s strong point and it's incredibly rare in Ireland. Most models came with a six-speed manual gearbox, though an automatic was also available. Aero designates the top models in terms of equipment and engine spec, with Vector and Linear being more basic. A 2008 facelift heralded over 2,000 changes including revised styling inside and out. It’s hard not to recommend the twin turbo TTiD diesel – it offers 180hp and in its latest form manages to emit less than 140g/km and return 5.1 litres/100km. And while this engine makes for a great partnership with the convertible models, it’s the practical Sport Combi that makes the most sense. With anywhere between 477 and 1,273 litres of load space, it should be able to handle anything that owners throw at it.